Asbestos was recently found in a mound of illegally dumped rubbish on Penn Lane, off the A5 near Wibtoft in Rugby, Warwickshire. The tipped waste completely blocked off the country lane and was estimated to have been blocking the area for four days straight. Trained contractors were hired to clear away the debris, which included several tyres, a fridge and car seat, as well as piles of deadly asbestos. The local council’s environmental protection team was called to inspect the scene after the asbestos was reported on 14th November. This illegal tipping has created a substantial clean-up bill for the council, going well into the thousands. The council is appealing to anyone who may have information about the illegal tippers and their whereabouts. The inconsiderate manner in which this asbestos was handled suggests that it could have made itself into the air and harmed nearby wildlife. Incorrect asbestos removal, or its disturbance, can release harmful fibres in the air that could be inhaled and cause asbestosis or mesothelioma. Thankfully, specially trained contractors were able to safely remove the asbestos buried among the other rubbish two days after it was identified, ensuring that no threat will be posed to people walking along that path in the future. If you suspect that your domestic or commercial property might contain asbestos and therefore need to be surveyed, we can provide asbestos removal management solutions to reduce the risk of asbestos-related cancer in homeowners or employees. Trident Asbestos Solutions can identify the presence of asbestos insulation in any home, business or other commercial building and remove it, without releasing fibres or causing damage to the property. To learn more about our asbestos removal project management services, ask for advice or receive a competitive quote, please feel free to contact our friendly and professional team today. Following a freedom of information request to Kent County Council, more than 340 schools in the locality have been discovered to contain asbestos, the lethal substance capable of causing such diseases as terminal lung cancer in the event of inhalation. 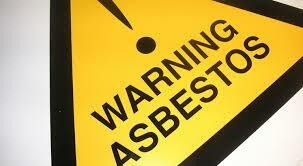 Asbestos is no longer used in buildings, but was used extensively before 2000 due to its fire retardant nature. Great numbers of buildings across the UK are therefore known to still contain the potentially dangerous fibres. Kent County Council has stated that it carries out asbestos surveying on a three-year rolling programme, analysing any suspicious materials on school premises that may contain asbestos and collecting samples for further study. A dozen claims by school employees have previously been brought to the council, which has declared liability for eight individual cases, resulting in a total payout of £842,958. A council spokesman stated: “The majority of schools in the UK have some degree of asbestos in their buildings and the presence of asbestos in itself does not present a risk to health providing it is not disturbed and is maintained in a safe condition”. Leaving asbestos untouched reduces the risk of health issues, but detecting the presence of airborne asbestos fibres is not easy, which means that staff or children could be put at risk without their knowledge. According to Charlotte Perkins, a solicitor specialising in asbestos claims for the Hugh James law firm, teachers are particularly widely affected: “Since 1980, 228 teachers have been diagnosed with mesothelioma having previously worked in schools throughout the UK”. Kent-based news sources have published comprehensive lists of all the schools containing asbestos, excluding private academies, along with the dates on which surveying is next scheduled to take place. Whether you are responsible for a school or a domestic, public or commercial building, if you suspect the presence of asbestos, you are advised to get in touch with specialists who can oversee the safe management or removal of asbestos to help protect everyone who uses the building. Contact Trident Asbestos Solutions now to learn more about how we can oversee the most competent and fuss-free removal of asbestos from your premises.